Being a one of the Football Managing Staff and Financial Planner are both different things and aspects. Both professions have similarities that can be applied in realistically. This in hand can be useful in many ways of motivating oneself to reach its potentials and goals in life. Football or Soccer has become a passion for me after rediscovering it again in 2010. I haven’t played a major 11-aside tournament after leaving high school and proceeding to college more than a decade ago. Other than running and badminton, this sport have become my outlet recently in relieving stress, renewed motivation to exercise and be fit and meeting with old and new friends who shared the same passion as well. I learned how to play the sport at age 11 in early 1990s. It was fun time of learning the basics of football. In football playing countries learning the sport at age 11 is already old but I started to pick it up at that age and stayed away from playing basketball at the moment and become one of the Euro football fan (from Dutch and Italian Serie A) and recently with English Premiere League, Spain’s La Liga, German Bundesliga and our very own United Football League Philippines. In the past two years, this sport has been earning throngs of fans from all walks of life after that faithful and triumphant battle in the 2010 AFF Suzuki Cup Semi-finals. It has become an exciting sport after seeing the Philippine National Football Team – Seniors Division a.k.a. as the Philippines Azkals in action. The Azkals made a breakout in this tournament giving glory to our country. Reaching the semi-finals brought tremendous hope and a bright future for Philippine football scene. Last March 2012, the Azkals won the bronze medal on one tough match against Palestine in 2012 AFC Challenge Cup in Kathmandu, Nepal. Although there are many issues surrounding the players but still they have shown off that they are proud Filipinos – pure blood or half-blood. With renewed interest of playing this sport again we started out a small Football Association (FA) club composed of guys with same interest in playing recreational and competitive football. We organized this club in the interest of propagating the football grassroots development program in our area and at the same time play together as a team, compete on a 7-aside tournament in Metro Manila or play 11-aside friendly games with other clubs within or near our area and represent our community in the province. As one of the founding members and one of the managing staff involves huge task of handling and organizing people, finance, training, equipments and at times coaching the players, etc. All the principles of the personal financial planning can be applied here as well. It involves lots of routine exercises from running, ball handling, skills developments and others. It is for sure needs lot of discipline in order to reach the peak of your performance and become one of top players as what most coaches will tell you and make you do when playing this tough sport such as football which is very competitive. It took time for us recall the old instincts plus the muscle memory of playing the game again. Like football, you must learn how to save, instill unto yourself the discipline of not overspending and setting certain amount of your money through budgeting and keeping expenditures monitored. Although, saving money is hard for others but once you save at least a portion of your money (10%) this could be a small step then you can go to higher amounts. Motivating on ’s self to save money and invest for the future in reaching one’s goal in life. Currently, we do not have corporate sponsors or affiliation with a local sporting organization or local government unit that could help us strengthen the team more. All of the players and staff are setting aside a small portion of their own money and pooled it into a trust fund if the case arises that we need to pay for the registration fees, transport fees and other expenses might be incurred in future events and tournaments in Metro Manila or elsewhere outside of our province. In financial planning perspective, discipline of setting aside for emergency cases or contingency plan if the case of the need to use the fund arises might come in handy. At least the cash needed for this could up to 6 months to a year in case of losing a job or looking for a job etc. Organizing the way you spend and the change in lifestyle could help you achieve more in saving enough funds for important future purchases for a future home, a car, dream vacation abroad or even for retirement. We come up with this bold plan of merchandising our team brand of T-shirt and marketing it to a local state university nearby in order to create positive cash flow in the coffers of the club. It got noticed with buyers from college students and local football aficionados who are friends of ours and supporters of our team with the use of social media network and by word of mouth as well. We invested a portion of our personal money unto selling and revolve the profits in order to create more products and services as long as the demand is still there in return we still a 10% profit sharing from the team members who invested in this plan. Learning and discovering entrepreneurial side of running a small business on a part-time or full-time basis could help you develop business skills and probably earn more cash. Business venture such as retail could be excellent and could give you firsthand experience into venturing more into a more lucrative business if you take the risks at the same time the return of profit can be break even, low or higher. Taking the opportunity of earning on the side doesn’t not knock twice. It only comes once in a life. If it comes to your doorstep then grab it. In a coach’s perspective in football training and practice, you must set a timeframe of training especially when preparing for a competition or tournament. As most athletes do they tend to practice and do routine exercises in order to keep them upbeat in meeting the challenge against other competing teams in which your aim is to reach the finals, win and settle the a champions cup or gold medals for individual players and have the bragging rights of earning the trophy of being the best. The purpose of setting a realistic goal is the start of making a good financial plan in which you set a time or schedule on the dream you want to achieve from buying a car, a house and capitalizing a business in the future. In retrospect, you be motivated to achieve this by sacrificing a lot to reach your aims, wants and desires. Remember, dreaming is free but there are deadlines if you want to it happen now. The team practices in a nearby sporting complex and we always see kids from poor families watch us but it turn out they want to play or kick the balls. It was a worthwhile and self-fulfilling experience when you teach a 7 year old boy on how to kick the ball, how to run fast and striking the ball into the goal post. You shared something of yourself by sharing your knowledge of this sport. Some 12-15 kids of different ages from 8-14 years old would watch us when we come late afternoon to practice and try to learn as much as possible on how to play football / soccer. Maybe one of this days we might discover the future Pelé, Diego Maradona, Zinedine Zidane, Ronaldhino, David Beckham, Cristiano Ronaldo or Lionel Messi (the current big names or legends of football / soccer, just to name a few) among one of these boys or girls. To summarize it all, personal finance requires skills, motivation and the stiff discipline of saving in your personal output and input of cash flows and setting realistic goals in achieving that dream of yours through proper management and applying knowledge gained from experience and books and advises from a financial planner could aid and support all the way as your personal coach. In football, I never expected to be part of a young upstart football club in our community and it was an honor and privilege to be part of the core group and management of this local team, Futboleros United Club, in which I am one of the founding members. Working and playing with these guys totally earned my respect for them as I see their dedication and fighting spirit amidst winning or losing a game. It is a worthwhile learning experience for me to be part of this team. A good financial planner is one who understand how to invest or protect our money or use financial services in business. like this blog, learned in Football and Financial Planning. Being a one of the Football Managing Staff and Financial Planner are both different things and aspects. 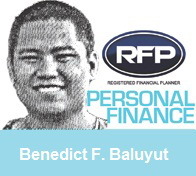 For a good financial planner, he knows about the financial services courses program and their benefits. Motivating oneself to reach its potentials and goals in life.